Aladdin EGNS #4 Rubber Plug with Easy-Grip No-Slip EZ Grip Knob handle Fits 3/4" fitting or 1" Pipe. EZ-Grip Tapered soft rubber plugs for maximum expansion. Easy Grip Knob is designed to make hand tightening easier and less painful on the fingers. 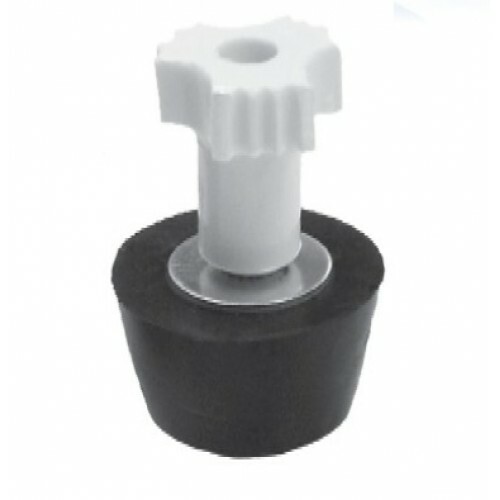 Ez Grip Knob also fits into 1" socket for easier installation and removal.